 Radiology’s Role in Changing the Culture of Medicine - ONRAD, Inc.
imagingBiz | Well, it happened: In a surprise ruling, the Supreme Court upheld the constitutionality of health-care reform by interpreting the individual mandate as a tax. The full decision is well worth reading, but the upshot is that starting in 2015, our already beleaguered—some would say broken—health-care system will take on up to 30 million additional patients, depending on how you estimate the ranks of the uninsured and how many of the uninsured decide that it’s worth buying insurance and dodging the penalty. For radiology, as many have already noted, the direct impact of this change might be small, at first; after all, the bulk of the currently uninsured are young, healthy patients who wouldn’t require much imaging anyway. Bracing ourselves for a fresh influx of patients, however, does underscore perennial questions about the utilization and management of health-care resources, as well as the evidence base for many all-too-common procedures and interventions. These questions always should have been of urgent importance to us—but now, they are more pressing than ever before. Once in a while, one’s personal experience of the health-care system can inform one’s professional view of it, and I recently had such an experience. My primary-care physician, whom I trust (and when you’re a health-care journalist, that trust is hard to earn) referred me to a specialist who turned out to be less than satisfactory. Even knowing what I know from writing on this subject—that too often, clinicians have no easy way to exchange information about care management, and that a smart patient will be his or her own advocate—I still found myself buffeted back and forth over a period of months, racking up copayments and unnecessary procedures in an endless cycle of miscommunication. Eventually, I did some Googling, mustered a bit of a voice, requested that specific information be reviewed and exchanged, and brought the cycle to an end. The entire experience, however, was revealing: It made me realize that the US health-care problem is as much cultural as it is systematic. Even as an unusually informed patient, I found myself leaping to embrace the next intervention without asking questions on my own behalf. I wanted to feel better; I wanted to feel that my hard-earned money was going toward something concrete; and I wanted to believe that I was in good hands, even when the evidence began to suggest otherwise. This is the emotional truth behind a process that is too often treated academically in our conversations and writings. We talk about physician connectivity, the consultative role of the specialist, and patient empowerment—three highly interconnected topics—as if they were separate subjects. We forget that when patients are empowered (which is almost never), communication and consultation between their physicians is not optional; it is demanded. If patients are truly to be empowered, though, they need to understand that getting the best possible care sometimes means getting less care, or different care, than they expect, and the only way for them to come by this knowledge is for primary-care physicians and specialists alike to take the time to educate them. It would be nice if this could be accomplished through slick public-relations campaigns with colorful brochures and interactive websites, but the only way that the understanding will really stick, for many patients, is for the information to come from the mouth of a trusted physician. Patients don’t know, or are too intimidated to ask; the information must be volunteered. If radiology is now, more than ever before, under an impetus for appropriate utilization, radiologists must spend face-to-face time with patients, as necessary: They must bring their authority to bear in explaining that a lower-back MRI is costly and can often be avoided, in parsing the risks and benefits of imaging pediatric patients, and in stratifying cancer risk to determine which screening methods should be employed. Otherwise, there is no effective way to address the cultural issues that lead the ever-growing patient base to expect—and/or go along with—inappropriate care.